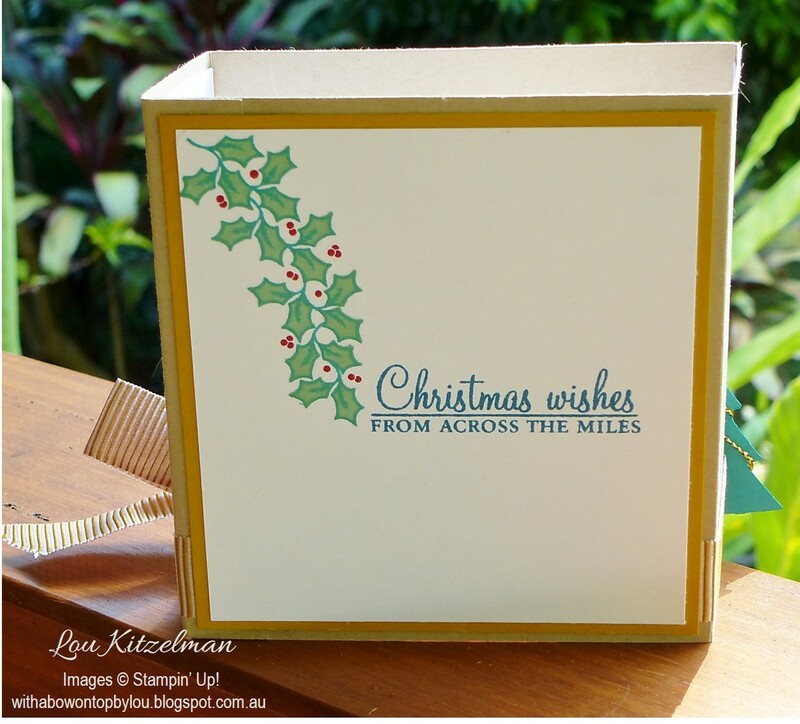 On Sunday I showed you how to make a Tea Light Candle Box card. It was so easy and fun that I got on a roll and made a few more. 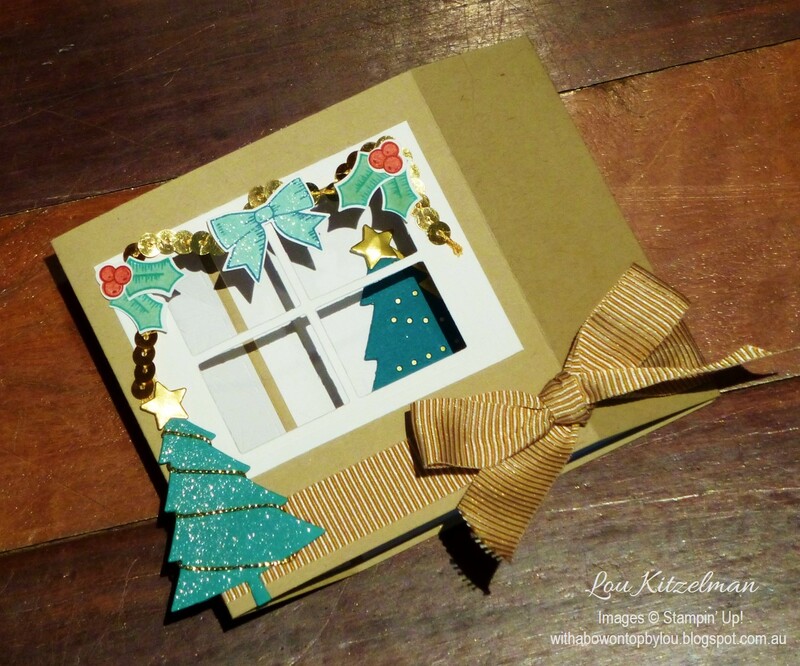 This card is to send overseas to someone who will be having a white Christmas. 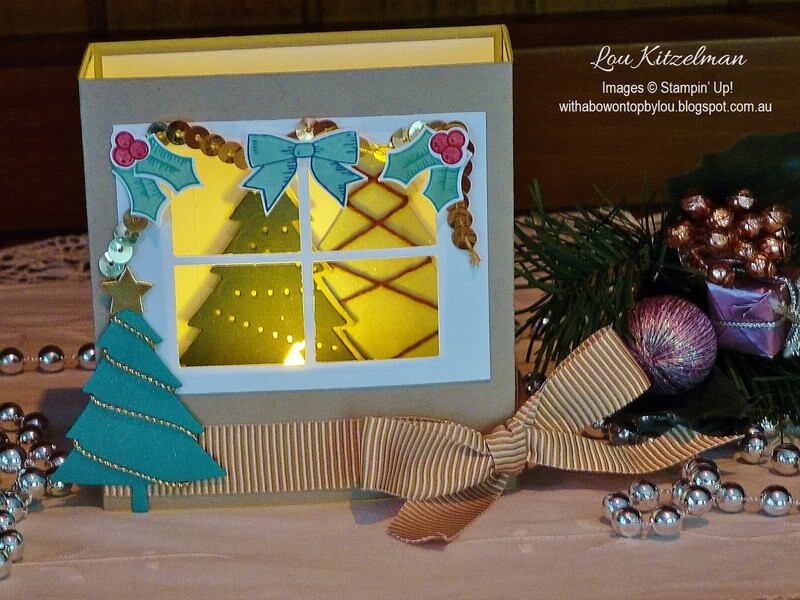 The colours were inspired by the inspiration Challenge over at Just Add Ink this week. 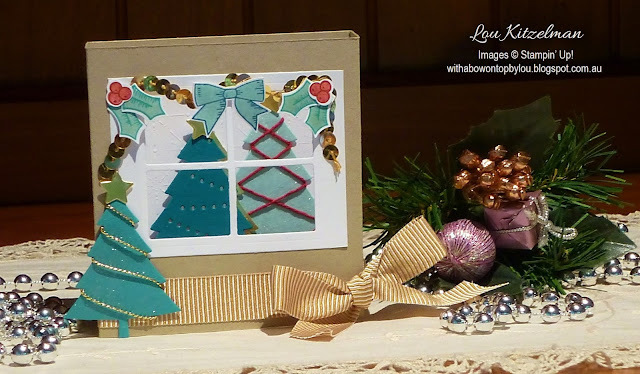 My card didn't end up having as rich colours as in the picture but I did use the jewel tones as inspirtation. When I added a few darker colours it made the inside of my 'house' look creepy and spooky rather than Christmassy! I have used the Home & Hearth framelits to create the window. I have turned it on its side to give a better view of my trees inside. Fancy Frost DSP makes some nice wall panelling. 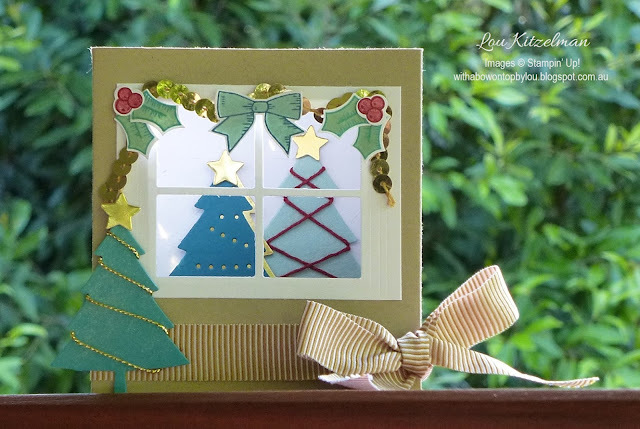 The Holly Berry Builder punch teamed with the Holly Berry Happiness stamp set makes quick work of the swag element on the front. And of course it folds flat to fit into a standard Australian C6 envelope. 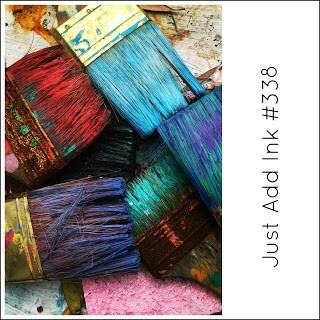 In this photo you can see more of the inspiration I took from the Just Add Ink inspiration picture. I have given most elements a coat of Clear Wink of Stella. I had intended the bow to be a bit like a belly band but I realised that it stayed in place after standing the card up. Bonus.......means the recipient doesn't have to keep tying the bow. The back panel is easily decorated with the Holly Berry Happiness stamp set. 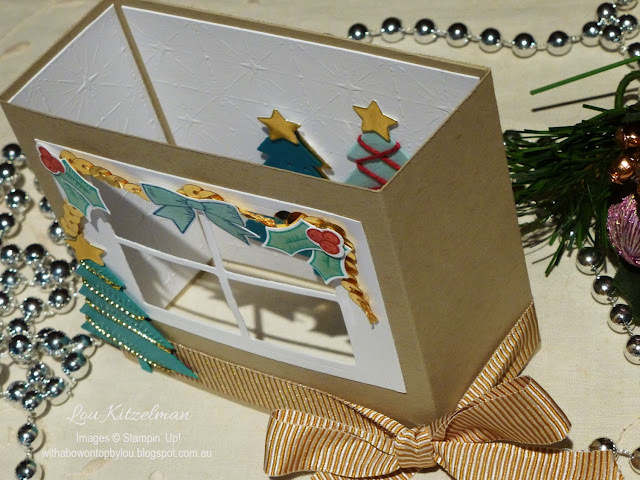 So why don't you have a go at making one of these easy cards that has a real wow factor??? ?